Ayurvedic dietary recommendations for kapha-vata type individuals follow a common sense approach, requiring small changes to your food choices and eating habits. The importance of a wholesome diet that includes every food group is heavily emphasized, but there are clear guidelines on specific foods and beverages that should be included or limited. These recommendations are based on the unique properties of your dominant dosha and an analysis of the unique properties of foods, which influences their interaction with the doshas. 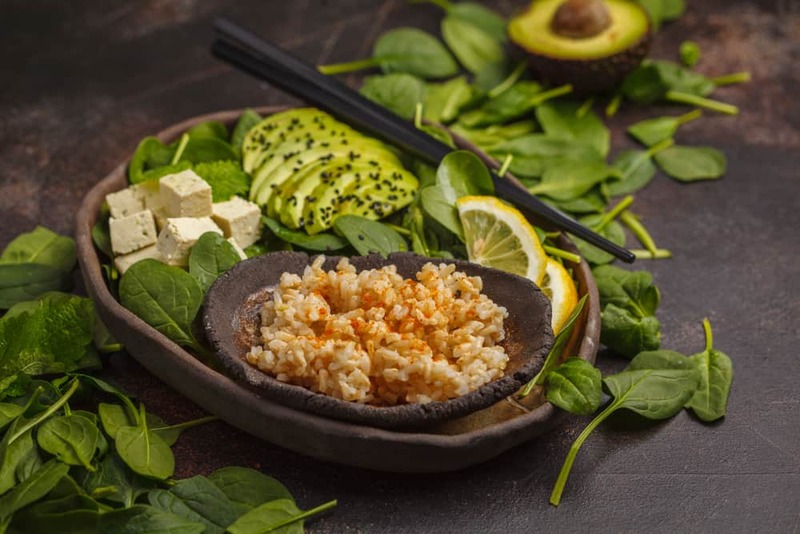 When planning an Ayurvedic kapha-vata diet, we look at 3 important qualities or characteristics of food – Rasa or taste, Virya or energy, and Vipaka or post-digestive effect. Understanding this Ayurvedic classification of food and your unique doshic makeup will allow you to make informed dietary choices. This can be a bit tricky when you’re just getting started, which is why it helps to refer to a dosha-specific diet guide. So, here’s what every kapha-vata type individual should keep in mind. As a kapha-vata type individual, you are more vulnerable to imbalances of both kapha and vata aggravation. Your diet should therefore include foods that possess qualities to counter your dominant doshas’ influence. Since kapha’s qualities are cold, heaviness, rigidity, and dullness, while vata’s are cold, dryness, lightness, and mobility, your foods needs to be heating, but should be neither too drying nor too oily, and they should be both energizing and stabilizing. According to Ayurveda, sour tastes have a pacifying effect on both kapha and vata doshas and should be included in any kapha-vata balancing diet. At the same time foods with sweet or salty taste can aggravate kapha, while astringent and bitter tastes can aggravate vata. While these tastes must be included, they should be consumed in moderation and in equal proportions to maintain a balance of both doshas. 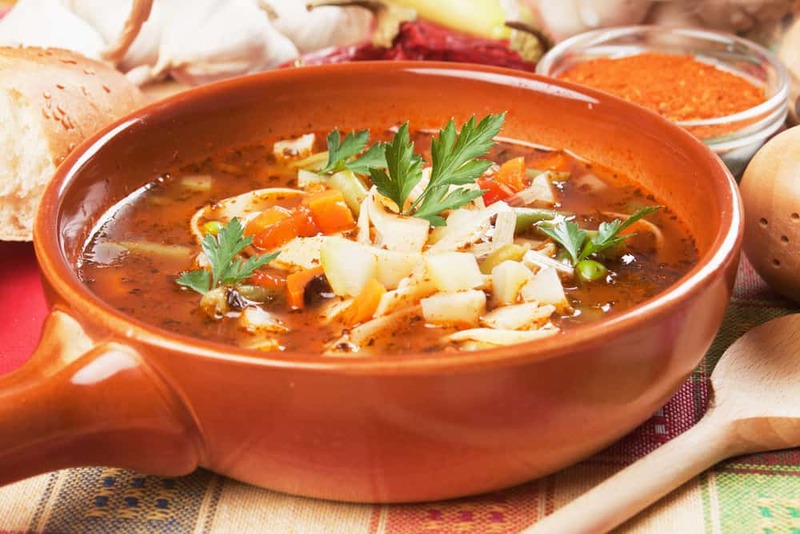 As heating energy is vital for both kapha and vata doshas to be kept in check, you should consume foods and beverages that are hot or warm at the very least. To counter the drying and heavy influences of your doshas, meals should neither be too oily and moist, nor too drying. Foods that you consume also need to strike a balance between being stabilizing and energizing – not too light and certainly not too heavy. For a dual dosha type, modifying your diet according to the changing season is particularly important as certain seasons are associated with a specific dosha. For example, late winter and early spring may pose a higher risk of kapha aggravation, which is why you would tweak your diet to favor more foods that pacify kapha. On the other hand, vata pacifying foods should be increased during fall and early winter. As we’ve mentioned before, Ayurveda emphasizes a wholesome approach to dieting that includes all food groups. Although some foods and food qualities do pose a risk of aggravating your dominant doshas, they should be included in your diet. However, these foods should be consumed in limited quantities. There is no single taste that can aggravate both kapha and vata, which means that there is no specific food that needs to be restricted significantly. However, all foods that do not pacify both kapha and vata should be consumed in moderation and in a balanced manner. For example, if you are consuming a food that is sweet and heavy, it could cause kapha aggravation although it pacifies vata. In such a scenario, you’d need to moderate your intake and balance it with something astringent, as astringent foods pacify kapha and aggravate vata. The cooling quality of kapha and vata is extremely strong and so you should avoid consuming foods and beverages that are chilled or frozen. Before you get down to eating anything, it would be a good idea to start your day with a cup of hot herbal tea. As a kapha-vata type, it would be best to have a herbal tea with heating herbs like ginger and ashwagandha. Contrary to popular belief today, breakfast is not the most important meal of the day and is optional. If you feel hungry or believe that you wouldn’t be able to survive on an empty tummy until lunch time though, it may be wise to have a light breakfast. 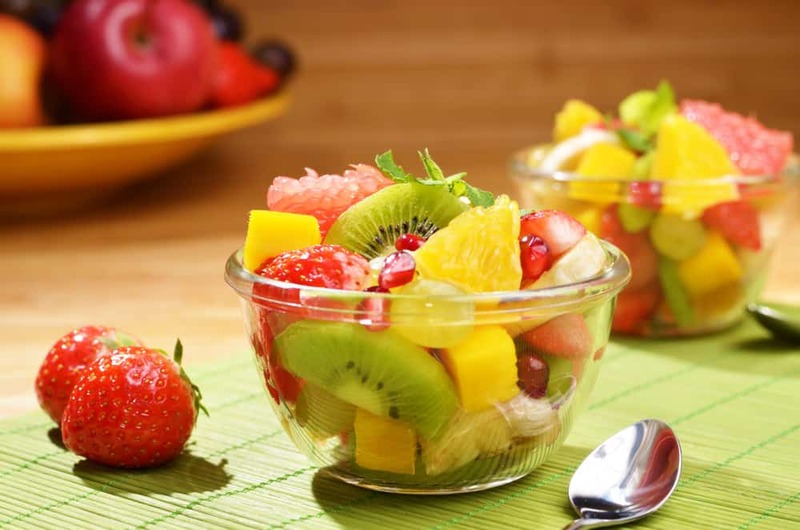 Citric and other sour fruits would be the healthiest option for you, which means that your breakfast could include fruits like orange, grapes, grapefruit, lime, lemon, berries, and papaya. On days when you’re particularly hungry you could also have a small bowl of whole grain cereal with hot milk. This can be garnished with dry fruits like raisins and crushed almonds. Ayurveda regards lunch as the most important meal of the day, so no matter how busy your schedule may be, try to have a wholesome and balanced meal that includes various food groups. The ideal foods to include in your lunch would be cooked grains like barley, amaranth, or brown rice, cooked vegetables like artichoke, chili peppers, capsicum, squash, sweet potatoes, mustard greens, and mung beans. To boost your protein intake, you could add ingredients like tofu, tempeh, and soy milk. Meat intake should be restricted to small servings just once or twice a week and may include cooked or grilled chicken, turkey, and fish. All of your foods may be garnished with kapha-vata supporting spices and herbs like ginger, chili, black pepper, cayenne, cloves, coriander, cumin, garlic, horseradish, oregano, and turmeric. Although dinner is an important meal, it should be significantly lighter than lunch. The ideal kapha-vata dinner would comprise of a thick soup with whole grain noodles or pasta, garnished with ginger and black pepper. This can be accompanied with a small serving of mashed potato and sautéed veggies. Snacking should be limited during the day and avoided altogether after dinner. If you feel the urge to snack after dinner it would mean that your meal was too light or that you aren’t going to bed early enough. At all other times, the best snacking option would be a single apple or a small serving of fruits. 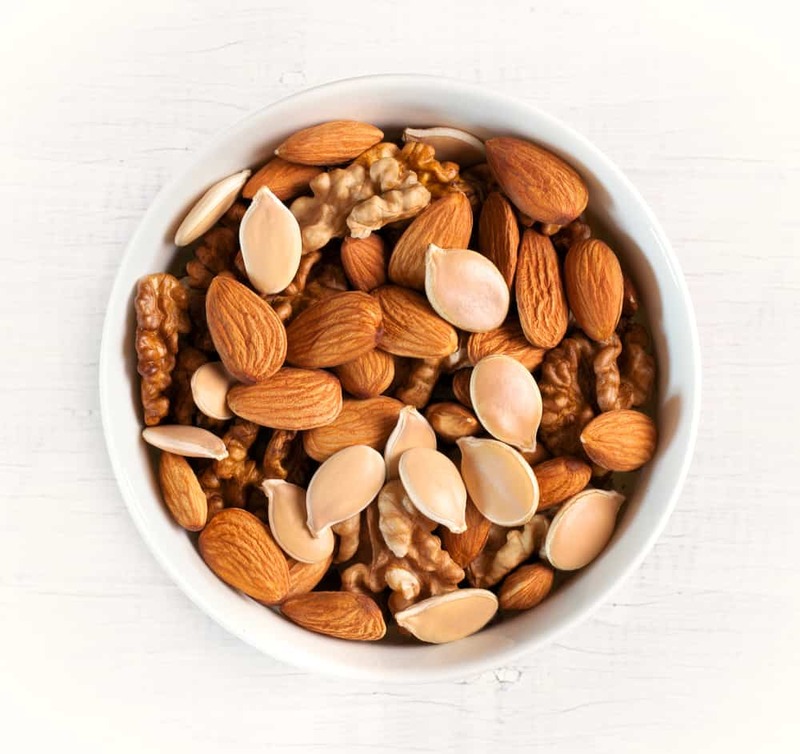 Nuts and seeds are also a healthy snacking option, but should only be consumed in small quantities. Walnuts, pine nuts, and sunflower seeds are the best choices and should be roasted or lightly fried with ghee or olive oil. Herbal teas or buttermilk may also be used as a snacking option. Obviously, adhering strictly to this routine can be challenging, but it is best to avoid delaying any meal by more than half an hour. Regularity in meal timings and in accordance with your dosha type will not just offer physical health benefits, but it also strengthens your mind. Your diet is something personal and these guidelines are meant precisely as that – to serve as a guide. You should use your own discretion to choose the right foods and meal times, but these Ayurvedic recommendations can help point you in the right direction. Just make it a point to include as wide a variety of these foods using the information provided. After all, Ayurveda emphasizes the importance of balanced nutrition and the whole range of food available to humans is more than we could fit into a single page! Simply avoid consumption of heavily processed and refined foods, as these foods are known to raise ama levels, increasing the risk of chronic lifestyle diseases. Tirtha, Swami Sadashiva. The Ayurveda Encyclopedia: Natural Secrets to Healing, Prevention & Longevity. 2nd ed., Ayurveda Holistic Center Press, 2007. Physical activity is a vital part of your Ayurvedic lifestyle. A kapha-vata balancing yoga routine gives you the best asanas and routine to maintain your dosha balance.